Conor McGregor and Khabib Nurmagomedov have both been suspended by Nevada regulators following their brawl inside and outside of the octagon in Las Vegas last weekend. The UFC stars were sent letters by Nevada Athletic Commission executive Bob Bennett yesterday informing them about the ten day suspension, which will be effective from October 15. Mr Bennett said that the NAC could extend the suspension when they meet on October 24. Neither athlete has yet commented on the suspension. McGregor delivered in incredibly poor performance upon his long-awaited return to the Octagon, eventually tapping out in the fourth round as Nurmagomedov preserved his flawless professional record and defended his crown. But it was the fight after the fight which has dominated the headlines ever since – with Nurmagomedov vaulting over the walls of the Octagon to attack McGregor’s training partner, Dillon Danis. 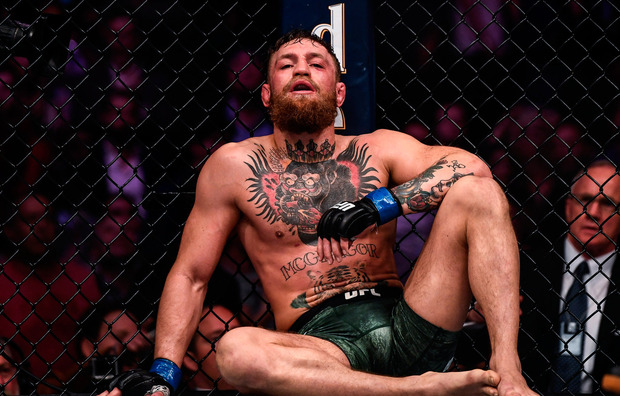 UFC fans were left with plenty of questions after watching McGregor’s decidedly off-colour performance – and new details have emerged which help to explain exactly why the Irishman was so poor in the one-sided title fight. UFC commentator Joe Anik – who naturally had a cage side seat for the contest – has revealed that McGregor was left unsettled by several backstage issues. Speaking on the Anik and Florian podcast, he explains exactly what was going on backstage in the minutes before the fight. “Say what you want about his actions after the fight but everything up until he finished Conor McGregor, in my opinion, from Thursday, September 20 – which was the first face-off in New York City – to Herb Dean pulling him off of Conor, Khabib handled himself brilliantly,” he said. “He just dismissed that narrative and then some. He made me feel like I wasted a whole lot of hot air talking about how he would handle that moment and on the other side, I thought Conor looked great all week.